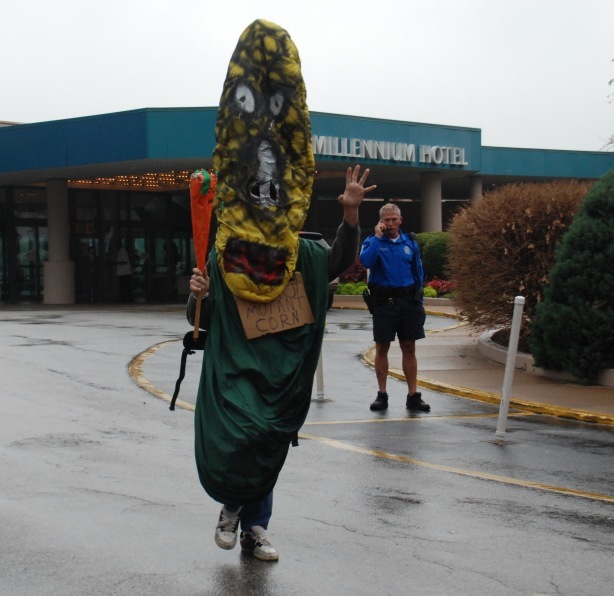 Protesters marking the one-year anniversary of the Occupy Wall Street movement gathered at three St. Louis area locations to protest against Monsanto Co., including the biotechnology giant’s Creve Coeur headquarters. 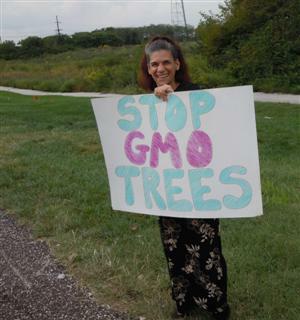 The protests here, organized by a network calling itself Occupy Monsanto and by the group GMO-Free Midwest, were among 45 other “actions” held across the country Monday, organizers said. 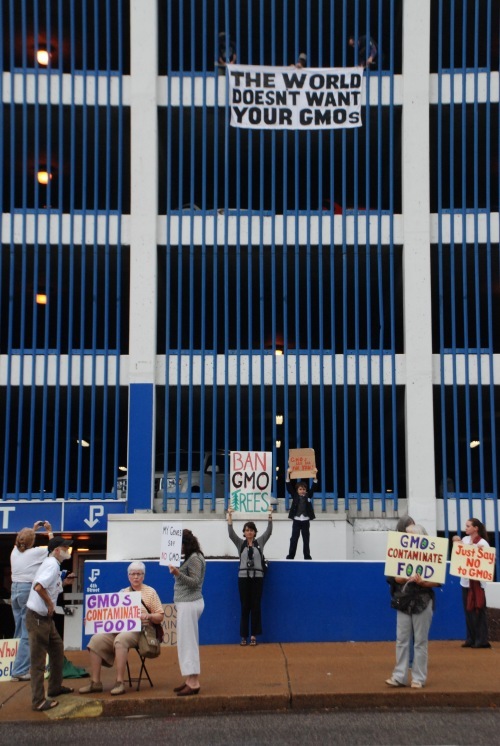 Calling on the company to more rigorously test and label genetically modified ingredients, the protesters first gathered outside the Millenium Hotel downtown, then outside the Whole Foods Market in Brentwood and finally outside the company’s offices. 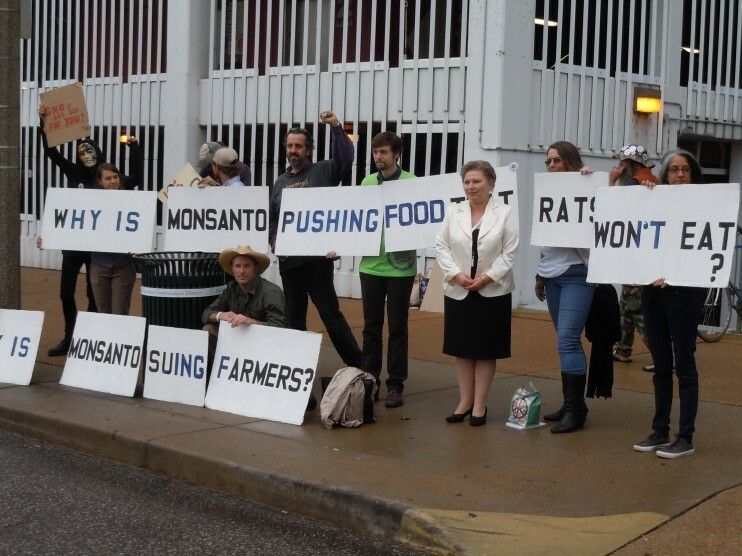 The protests are the latest in a series of events over the past year in which activists have called for mandatory labeling of foods containing genetically modified ingredients. 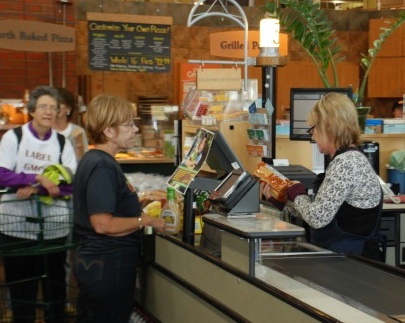 A petition urging the U.S. Food and Drug Administration to require labeling gathered more than 1 million signatures earlier this year, and a proposition requiring labeling will go before voters in California this November. 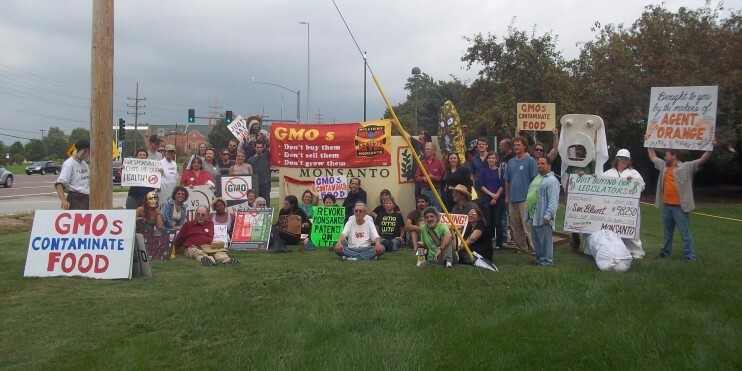 According to records filed with the California Secretary of State, Monsanto has contributed more than $7 million to defeat the proposition. Eidinger said the company temporarily suspended operations at two of its California facilities in the past week because of protest actions. 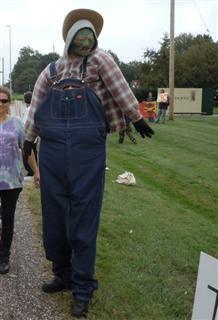 Monsanto would not comment on the suspension of operations, saying only that the safety of its employees was paramount. 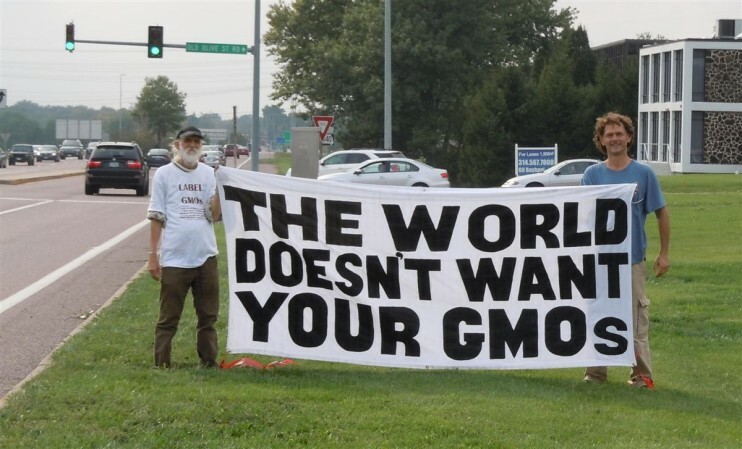 WORLDWIDE – An expanding network of concerned individuals known as Occupy Monsanto has emerged over the past 9 months staging numerous protests at companies connected to the global trade of genetically engineered foods, also known as GMOs. 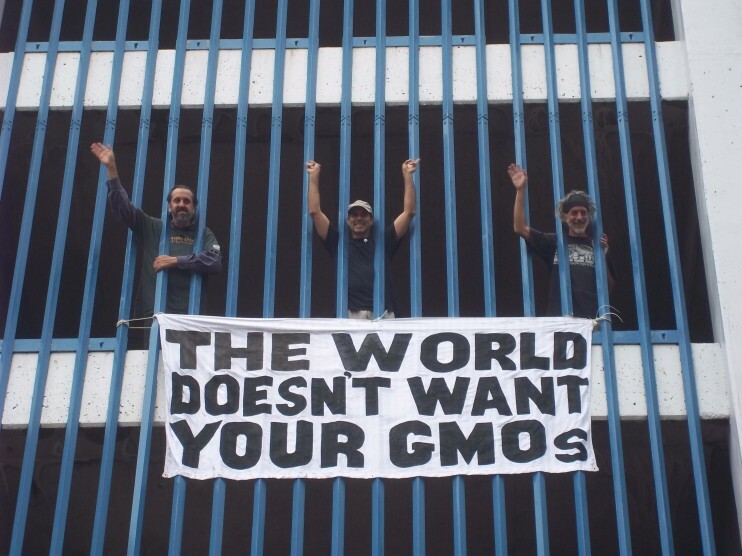 The network announced today that on September 17, 2012 protests will begin for an entire week in St. Louis, home of the Monsanto Corporation, and across the US including California where voters will decide if they will label GMOs this election and worldwide in Argentina, Canada, Germany, India, Spain, Philippines, Paraguay and other countries where concern over GMO impact on the environment and human health is growing. 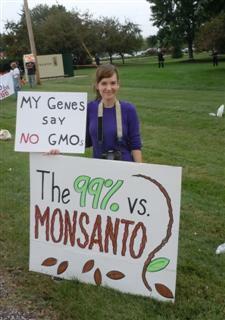 The protests will vary in size and nature but are unified in pushing back GMO food into the lab from which it came. 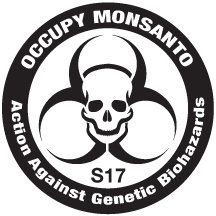 An interactive map with times, dates and locations of the 75+ protests can be found at http://occupy-monsanto.com/genetic-crimes-unit/ . 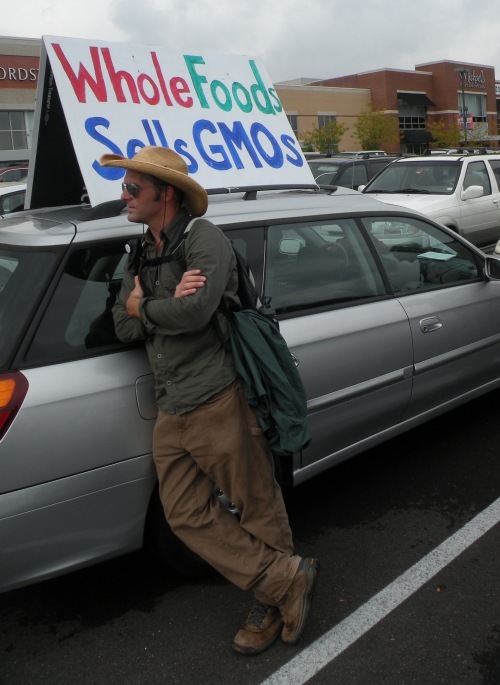 Occupy Monsanto means to confront the industrial agriculture system head-on. Some protests could result in widespread arrests of people who choose to engage in non-violent civil disobedience. 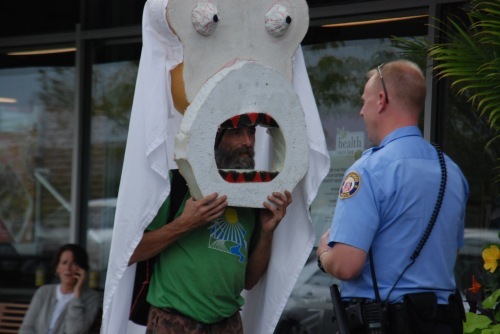 Despite the peaceful nature of these planned protests, organizers are concerned about surveillance of Occupy-Monsanto.com by the US Department of Homeland Security and law enforcement agencies worldwide. 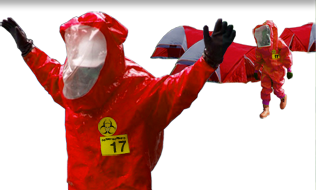 Nevertheless Occupy Monsanto protests will feature costumes made of bio-hazmat protective gear that can also protect against pepper spray from police who have routinely attacked occupy protests in the past year. 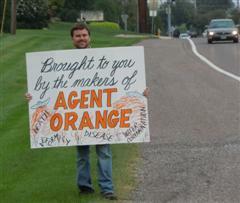 “There is something wrong when a chemical manufacturer, the same company who made Agent Orange, controls the US food supply,” says Jaye Crawford, a member of the Genetic Crimes Unit in Atlanta, Georgia that has planned a week of events. 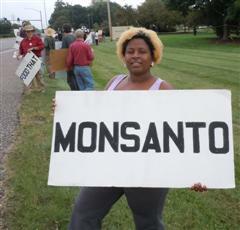 Info: http://occupy-monsanto.com/atlanta-gcu-schedule-of-events/ . 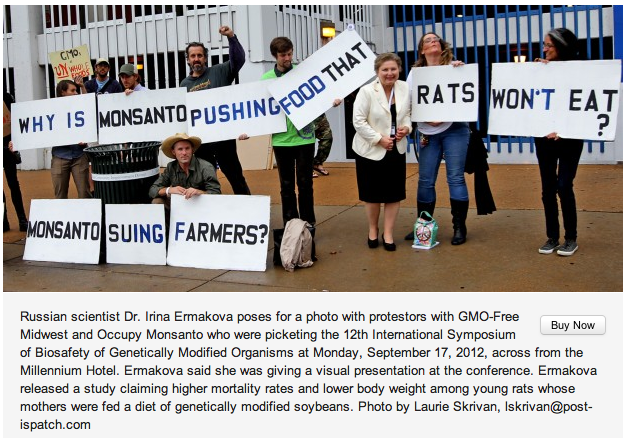 “People are stirred by the evidence that GMO foods compromise human health,” says Rica Madrid, a member of the Genetic Crime Unit of Occupy Monsanto. 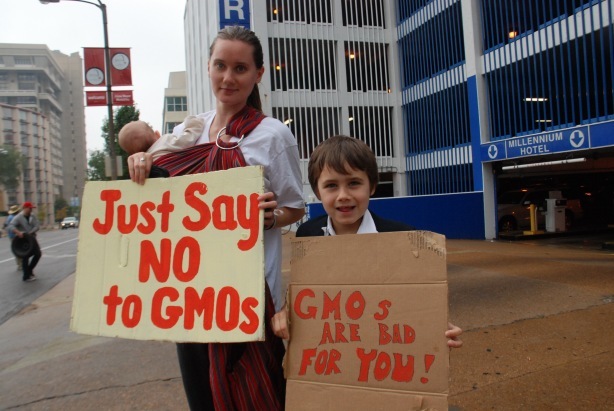 “Politicians and their sponsoring corporations ignore public outcry over GMOs to protect huge profits over health. Since GMOs’ introduction to the food supply in the mid 1990’s, food allergies have expanded according to Center for Disease Control data,” says Madrid. 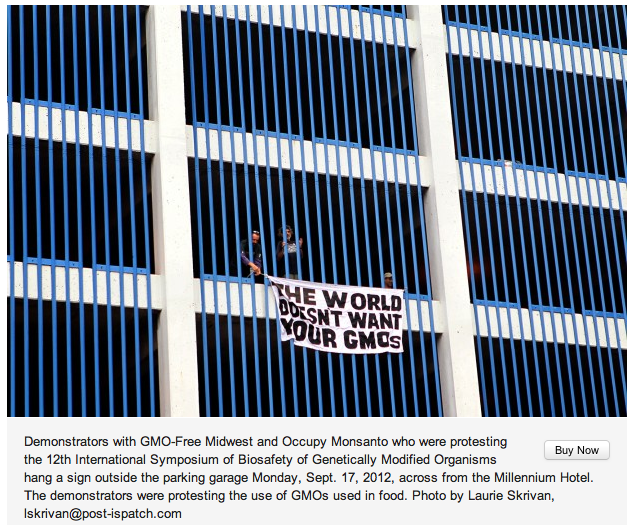 Occupy Monsanto will be heard at the offices and facilities linked in the GMO food system. 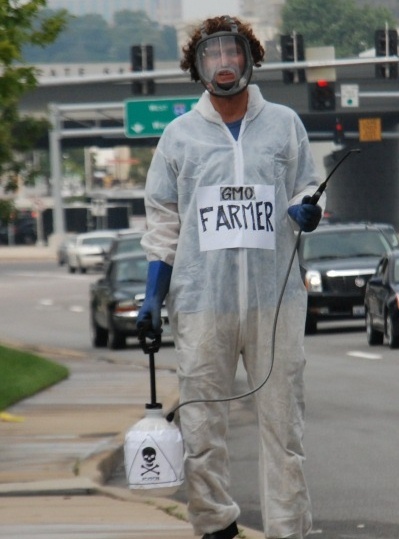 In St. Louis a major anti-GMO conference will take place in the same location as the ‘12th International Symposium on GMO Safety.’ A lead organizer of the conference is Barbara Chicherio who believes, “’Monsanto’s push to control agriculture and what people are eating poses a great threat not only to consumers in the US, but to farmers and communities throughout Latin America, Africa and Asia.” Info on the conference is at http://gmofreemidwest.org/ . 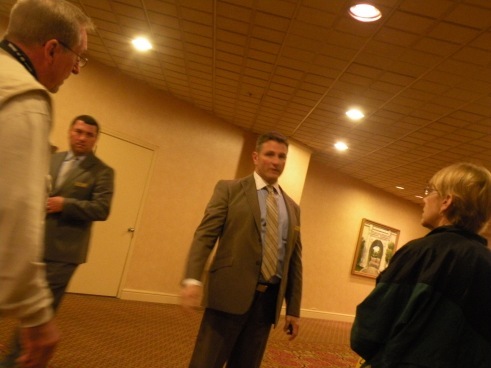 Media may arrange interviews with Occupy-Monsanto.com by contacting Adam Eidinger at 202-744-2671 or write to gmo@Occupy-Monsanto.com Visit http://Occupy-Monsanto.com for more information and to see video and photos of protests from earlier this year. 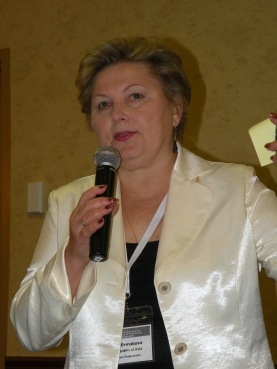 All images and video are available for free and unrestricted use by members of the media.